Pure Heart desires to be a part of the work God is doing through our brothers and sisters around the globe. In Matthew 28:19-20, God calls us to make disciples of ALL NATIONS. Over the years we have been a part of ministries in Mexico, on the Navajo Nation, Uganda, Kenya, China, India, and Honduras. We desire to support global ministries that are making a long-term transformational impact in their communities. We join with missions organizations who are working in various places around the world with financially support, but also desire to send our people to be part of the work God is doing through short-term mission trips. 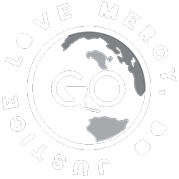 In both our local and global outreach we desire to LOVE MERCY and DO JUSTICE based off of Micah 6:8. We desire to fulfill Christ’s commands to clothe the naked and feed the hungry – this is Loving Mercy. We believe God does not call us to stop there, but to also Do Justice, by providing the right tools to empower individuals and communities to climb out of poverty. We believe that whatever we do must also be a balance of meeting both physical and spiritual needs. Our goal is to empower the local people in the area we are serving without creating dependence on foreigners. We believe the best people to make long-lasting change in a developing country are those who are there, using resources God has already provided in the community. We desire to be a part of the process to implement long-term change in the community. The book, When Helping Hurts has been key in developing what God is calling us to do at Pure Heart through Global outreach. We partner with a variety of organizations including: Global CHE Network, 1Mission, and Global CHE Enterprises. Currently we are partnering in in Puerto Peñasco, Mexico, El Salvador and Panama. We are always in the process of prayerfully seeking where else God may be calling us to serve. We desire to see our church family a part of what God is doing in Global outreach whether that is through prayer, financial support or serving alongside our brothers and sisters in developing countries. Click here for our fundraising packet. A. Adults (18 & Older) MUST apply online via the specific trip link. Minors (17 & Younger on Date of Trip) must download and complete a minor application that MUST be notarized by parent(s)/guardian(s). The church provides free notary service during office hours, please call 602-866-8850. A. We encourage you to apply for a trip as soon as you know you can commit to it. We have application & deposit due dates posted on the website. You MUST apply and pay the deposit by the due date or else you cannot attend the trip. Q.Do I need to fill out an application if I’ve already been on a trip? A. You must complete an application every trip you attend. Q.Do I need a passport? A. A passport is needed for all trips. It is important to make sure you apply for your passport well in advance of the trip. Passports typically take 4-6 weeks to process. Also check the expiration date on your passport (you need to renew if your passport will have less than 6 months before expiration upon return from our trip). Trips to Mexico also allow the use of a passport card. Q. What does the trip cost include? A. Trip costs include all airfare, transportation in country, lodging, & team meals. Trip costs DO NOT include passports, visas required ahead of time, immunizations/medical costs, souvenirs, snacks, & food at the airport. In addition dorm space at the 1Mission base camp, requires an extra cost directly to 1Mission. Q. Are there scholarships available for short-term mission trips? How do I pay for my trip? A. We do not provide scholarships for short-term trips at this time. We provide information on fundraising and the support of a our global outreach team to help you in the process of raising financial & prayer support. Most people are not able to pay for some trips on their own. It is important to contribute as much as you can, but we also encourage you to fund-raise. We can support you with some sample fundraising letters you can adapt to your specific situation. Please download our fundraising packet for more information. A. All international travel involves an element of risk. Pure Heart and our ministry partners are committed to doing everything to ensure the safety of trip participants. Our pre-trip training and meetings will include safety guidelines and trip participants are expected to adhere to these and follow direction of trip leadership. Q. Do I need to get immunizations or shots? A. It is your personal decision on what shots/immunizations you may need. We encourage you to discuss this with your medical doctor or a travel health center. You can find more information at http://wwwnc.cdc.gov/travel or http://www.worldtravelhealth.net. Any costs not covered by your medical insurance must be covered by you. Q. Are funds given refundable? A. In order to make the trip donations tax-deductible, all contributions (checks, cash and credit card) must be made out to Pure Heart Church. It is important to note that contributions are solicited with the understanding that Pure Heart Church has complete discretion and control of the use of donated funds. As a participant, you do not have discretion or control of the donated funds. Any funds raised in excess of the trip cost will be used for the trip or other outreach projects. Any donations made directly to the trip participant are NOT tax-deductible, including crowd-funding websites (e.g., Go Fund Me, YouCaring, etc.). We require that you use Ministry Platform, which allows for online donations directly to the church. *Due to IRS regulations, all funds including deposits, donations from supporters, and any personal payments you make are considered charitable contributions and are *non-refundable at any time under any circumstance. *If you are unable to attend a trip for any reason, we are unable to issue refunds to you or your supporters, all funds will be used to support the specific global outreach trip or program of the church.